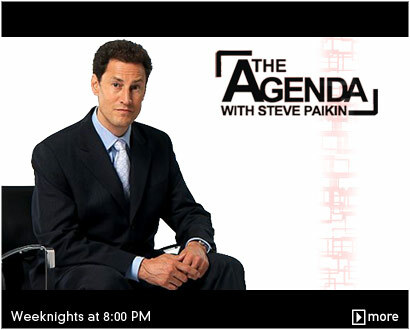 The Agenda with Steve Paikin (broadcasted by TVO) covered a special issue filmed at the Perimeter Institute, Waterloo, Ontario – I can’t believe they filmed it so close to where I did my undergrad (University of Waterloo). The show frames the discussion around the question “How will robotics change our lives and our evolution?”, talks about what is currently considered ‘feasible’ in robotics and what it means to our future lives. Hod Lipson is the Director of Cornell University’s Computational Synthesis Lab (CCSL) at the Sibley School of Mechanical and Aerospace Engineering. His research focuses on evolutionary robotics, design automation, rapid prototyping, aritficial life, and creating ‘self-aware’ robots that can demonstrate some aspects of human creativity. Eliezer Yudkowsky is an Arificial Intelligence (AI) theorist who also writes on the topic of human rationality. He cofounded the Singularity Institute for AI, devoted to research and advocacy on the topics of Artificial General Intelligence, self-improving AI, and superintelligence. Mr. Yudkowsky was one of the founding directors of the World Transhumanist Association. Cory Doctorow is a science fiction author, activist, journalist and blogger–the co-editor of Boing Boing and the author of the bestselling novel Little Brother. He is the former European director of the Electronic Frontier Foundation and co-founded the UK Open Rights Group.